One Day Tours of D Day Landing Beaches and Normandy Invasion. We’re open and available for tours all year round. Our famous tours continue, even during the winter months. See the action from the perspective of the American troops. An experience you’ll never forget. Follow the landings, routes, battles, losses and victories of the British soldiers in 1944. Canadian Sector tour sets out the difficulty and importance of Canada’s crucial role. D Day Landing Beaches One-Day Tours. Please note that all our one day tours are private tours and your party will be the only people in the group. This means we can do whatever YOU want to do. The itineraries outlined here are suggestions only. We are always happy to create a custom itinerary for you and your group. Please let us know if there is anything you would like to see that isn’t included on the suggested itinerary. Here we outline three suggested itineraries for one day tours, depending on which aspect of the Normandy invasion piques your interest most. 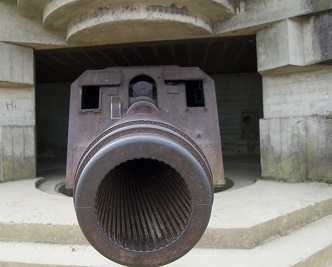 The D Day landings on the beaches of Operation Overlord on 6 June 1944 have left such a legacy of fascinating historical sites to visit all along the Normandy coastline that there is never enough time to see everything. 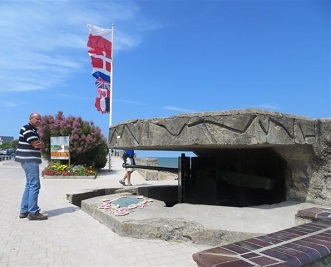 However, if you have a day to spare and would like to visit the Normandy beaches, one of our private guided tours of the highlights of the D Day landings will be ideal. Although there is a lot to see, rest assured we will not rush you from site to site. The D-Day invasions were vast, meticulously planned and complex and they deserve a full and proper explanation. 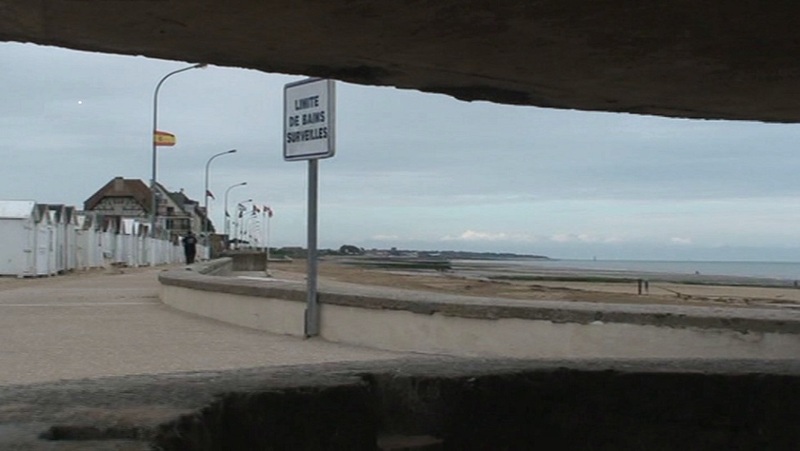 A present day view of Juno Beach, Normandy, from a defensive bunker on the beachfront. Our aim is for you to leave us feeling your day was worthwhile, that you have enjoyed your tour and seen the sights for yourself, but most of all to feel that you have learned what the D-Day battle must have really been like on 6th June 1944. Typically, our tours will start at 9.30 am and finish up around 5.30 pm, although Malcolm is available to start your tour at any time from 9.00 am. If you would prefer a later start, that’s absolutely fine, simply let us know and we will be happy to oblige. In general, we will have to finish tours at around 6.00 pm, regardless of starting time. We will collect you from a prearranged meeting point (e.g. Bayeux Railway Station) or if you are staying locally collect you from your gite or hotel. We will be delighted to supply a superb picnic lunch or recommend a local Café or Creperie for lunch. We will provide a complimentary information pack outlining the Itinerary of your tour. The tour is a whole day’s duration. Transport is by a private 4×4 vehicle. All our tours are private tours and you and your party will be the only people in the group. This means we can tour at your pace and see what YOU want to see. We are happy to provide a price for larger groups, please get in touch for a quote. Please choose the one day tour which interests you most from the links below. It’s barely a week since we returned home to the states from a wonderfully memorable trip, of which you and Malcolm were such a big part. I think that by now, Malcolm might have mentioned to you what I had revealed to him in the last few moments of our tour – I am a Private Tour Guide in New York. Of course I did not want to reveal that info prior to or during our tour with Malcolm, because I knew it could make a fellow guide just a wee bit uncomfortable about being judged. Malcolm was a masterful tour guide and mad our tour of the D-Day Beaches and the Normandy area so much more remarkable, revealing, but most importantly – moving. The best tour guides, have a real knack for relating stories that bring history alive and Malcolm has the passion and the interest in the subject that make the D-day experience with him something very special. …I wanted to thank you for being so accommodating at the last minute (twice)… Thanks for offering to put us up at your property and then eventually changing our private tour date that allowed us to catch a ride to Mont St. Michel. Also, your lunch box you prepared for our tour day was delicious – in particular the ham and cheese baguette, and the wonderful homemade apple cake dessert – loved it. Good job ! Malcolm, like me, has found later in life, what he is truly built to do – relate incredibly important history that changed the world (in a very positive way) and show where it all happened. Came to France to do the Normandy tour. Learned more from Malcolm in two days than I did in ten years at school. The accommodation was excellent and we recommend the old railway cycling track as an outdoor activity. We were privileged to avail of Alison’s cooking – and it is to be highly recommended. Both Alison and Malcolm were the perfect hosts and we can’t forget little Archie & Hendley (the dog and cat!). Thank you so much for the excellent 2 day tour. It was a great experience. I had expected to see bunkers, guns, tanks, and so forth, as we did. 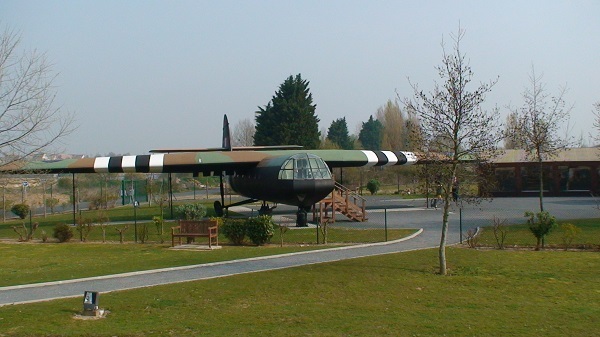 But I had no idea that we would be treated to the many anecdotes and stories you tell so well, like that of the extraordinary bravery and skill of the glider pilots that made it possible to seize Pegasus Bridge. Or the stories of John Steele at Sainte-Mere-Eglise, of Lt. Richard Winters and Easy Company at Brecourt, of Lt. Col. Robert Cole, and others. Your extensive knowledge of the heroic exploits of the men that made D-Day a success is remarkable. That fund of knowledge combined with your passion to tell their stories made for extraordinary experience for Matt and for me, an experience that surpassed even our greatest expectations. So thank you. And a hearty thank you to Alison too for the delightful lunches. I feel very fortunate to have had you as a guide and would recommend you to anyone who wants to understand the events of D-Day. Thank you for such an incredible day. This was the part of our trip that we were looking forward to the most, and it turned out to be the absolute highlight of our entire week. We truly felt like we were in a graduate level history course going to the various battlefield sights, churches, monuments, and beach landing sites with you. Having the opportunity to learn more about our great-uncle’s experience once he was dropped behind enemy lines was truly incredible, and it was absolutely awe-inspiring to visit the American cemetery where he is buried. The personal touch that you and Alison, with her fantastic picnic lunch, added to our day was so unique. We’re looking forward to sharing our experience with the rest of our family, especially our grandfather. In Sept. 2014 my husband and I spent three wonderful days staying with the Cloughs and touring the Normandy Battlefields. The cottage, the meals, the extensive tour – all were wonderful ! Malcolm has such an extensive knowledge of the war and presents it in a professional, knowledgable, entertaining manner. We saw so many sites that wouldn’t be included on shorter tours. This was a Christmas gift to my husband and I thought I might be bored touring so many war sites, this was never the case. Malcolm’s wife, Alison, provided delicious breakfasts every morning, lovely lunches to be eaten while on the tour, and grand dinners. We ate in their dining room and they made us feel like old friends rather than guests. The cottage we had was spotless and decorated with care, plus, after Malcolm picked us up at the airport Alison had a basket with bread, cheese and other treats waiting for us. We have traveled to many places and this tour and the wonderful accommodations/meals are at the top of our list of 5-Star experiences. What a wonderful day we had with you! Your knowledge was incredible and your enthusiasm was contagious. And your willingness to go at our pace displayed a level of customer service from which others could well learn. We all agreed that the day was extremely informative and enjoyable, and that we would gladly do it again with you as our guide. As Glenna (aka Grandma) said yesterday as we were re-living our day with you, “anyone who is doing a D-Day tour needs to use Malcolm”. I don’t think there is any higher praise than from an 89-yr old woman whose husband served in the war and who lived it herself. Thanks you so very much for you knowledge, enthusiasm and kindness. If you and your wife ever come to the States and decide to pass through St. Louis, Missouri, we would be happy to host you. Best wishes in your endeavors and thanks again! Although we were pretty ignorant about the D-Day Invasion and had no personal connection to that part of WW2, it was a subject that interested us. So we did a detour from Cape Town, South Africa, via Normandy en route to see our family. We spent three nights with Alison and Malcolm Clough in their lovely home in the country and Malcolm was our personal guide for 2 full days. Malcolm’s incredible knowledge of the Invasion and his passion for the subject brought history alive for us. We stood at inland battle sites, had the drama of capturing bridges played out, visited all five beaches heard amazing stories of heroes – some of whom survived and some of whom sadly died in active service during the Invasion. At the end of each day we visited a war cemetery which was emotional and very sobering. Our days were long but relaxed and totally absorbing. Alison provided a delicious picnic each day and Malcolm always found the perfect place to enjoy it. We found this so much nicer that sitting in a restaurant and ‘wasting time’. There was so much to hear and see. I “found” Malcolm on the website and we reckon we hit Number One. Thank you Malcolm for imparting your knowledge in such a relaxed manner and so patiently. We were enthralled and give you a 5 Star rating. Alison, thank for our lovely studio accommodation, all the goodies in the fridge and your delicious meals. We loved it all and felt very much at home with you. Of all the things we saw and did during our adventures, two stand out. One was kayaking in the Shetlands and the other was the time we spent with you in Normandy. I looked forward to every day we were in your care, and you two and Peter did a marvelous job. The accommodations were first class, the food was great, and most of all your companionship was the key to a truly wonderful experience. Such good care you took with us to insure we had a good time. Malcolm meeting us at the ferry. Alison’s cooking. Peter being Peter. What fun we had! I couldn’t help but feel, as I looked at the other tour groups being herded along, that no one was getting the quality experience that we were having. Malcolm and Peter’s knowledge of the events and locations was superb (I like to think I know a little about them myself), and brought to life so vividly with their narrative and stories that it stirred up emotions and feelings that surprised me with their intensity. And how many of those other people got to retire to such a nice bit of France, and have dinner and conversation with their hosts in their home at the end of the day, and even get to see their wedding pictures? You made us feel special, but I suppose you make everyone that crosses your threshold feel that way. To get to walk along the beaches, stand on the bluffs, walk through the shell craters and look down from the cliffs at Pointe du Hoc! I will never forget my moments at the American Cemetery. We thank you so much! ‘Thanks so much for the fantastic day. Your tour of the D-Day sights was the highlight of trip for my aunt and I. 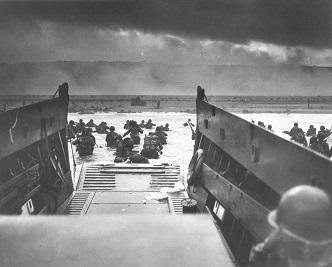 Your narrative at Omaha beach made D-Day tangible for me. The tour you gave us of the American cemetery was poignant. The visit to Pont du Hoc was spectacular. We truly appreciate the bespoke approach you took with us- accommodating all of our requests, adjusting on the fly, and giving us a full day that we will always remember and treasure’… Kate Downes, Phoenix, Arizona, USA. Stephanie and I are finally back from our French trip and write to express our profound appreciation for your company/services last week. Not only did you enlighten us as to the events on the D Day beaches and beyond, but you made us feel we were touring with a kindred spirit. We have much more of an understanding for the role Steph’s father played in the war, which whilst emotional, especially for Steph, only increases our pride of him – especially having seen the exact places where he fought and some of his friends fell. It was frighteningly easy to picture him defending the troops with his machine gun in the various woods, fields and ridges on our trip. This was his story. Having now visited Normandy and the battlegrounds, I can understand why he chose not to tell it. But it was important to Steph and I that it was told, and that his children and grandchildren know what he did. You bought that story to life for us with both facts and understanding, and we thank you. It looked like it was a great deal of work for you, but rest assured every second of it was absorbed by us with great gratitude…. David and Stephanie Buckle, Folkestone, Kent, UK. Malcolm and Alison provide an unparalleled experience for a visit to the beaches. His depth of knowledge is extremely impressive. Alison’s culinary skills will cause you to want to return solely for her delicacies. If a competitor offered a free guiding service I would turn them down, and still pay for another visit with Malcolm and Alison. I’ve been on a number of battlefield tours over the years but none have been as informative or as interesting as yours. It was truly a memorable day and the highlight of my holiday. Your flexibility in accommodating the changing itinerary meant I came away feeling as though I had seen the key sites. You really made the whole experience come alive with your stories and expert knowledge.